The end of the merger between the French advertising company and its U.S. rival Omnicom leaves Publicis without a plan for replacing 72-year-old CEO Maurice Levy. That is a long-standing issue that the board repeatedly failed to address. It has just taken on a new urgency. 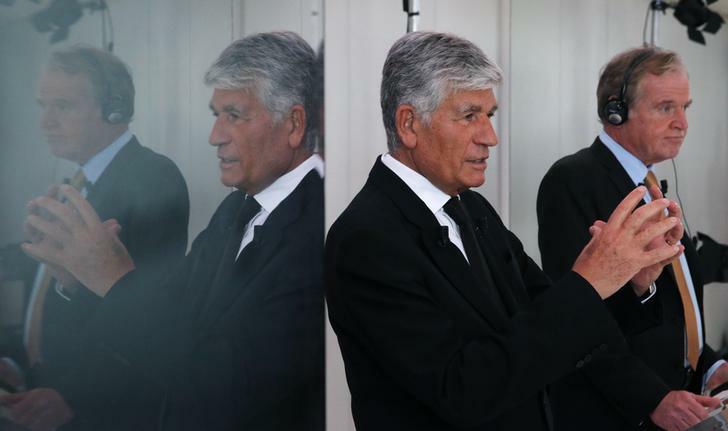 Maurice Levy (front), French advertising group Publicis Chief executive, is reflected in a screen as he attends a joint news conference with John Wren, head of Omnicom Group, in Paris, July 28, 2013. Maurice Levy, the chief executive officer of French advertising group Publicis, said on May 9 that he still has the support of the company’s supervisory board after the failure of its merger plans with U.S. rival Omnicom. Levy, 72, appointed to the job in 1987, added that finding a successor would be the board’s first task. “I was very attached to the concept of equality and was not ready to cede on this point,” Levy told Reuters. He added that Omnicom and Publicis clashed on the name of the new group’s chief financial officer, which both sides wanted to appoint.